Unlimited Fun Indoors and on the Waters! 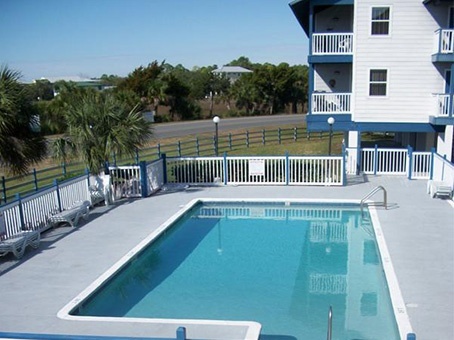 The Sunset Place Resort is a 32-unit condominium resort located at the mouth of the Steinhatchee River. Every condo unit has a spectacular balcony view of the river's mouth and the gulf—a view that never gets boring. Marvel at the magnificent views from your unit and the private boat dock, and discover why our condominium resort is the most convenient and desirable place to spend your vacation while in Steinhatchee, FL. We look forward to having you! Fun and excitement also await you at the mouth of the river! Leave your boat at one of the marinas or public boat ramps, and dock your boat at Sunset Place. No long trek up and down the river every day to get out fishing! You know what that means? More fishing time, of course! Taylor County is one of the few places in Florida where you can harvest your own scallops. You’ll find scalloping opportunities along our entire coastline, including Keaton Beach, Hagen’s Cove, and Steinhatchee. This unique activity is fun for the whole family and requires minimal resources to get started. It is relatively simple, and after spending an afternoon in the water searching out scallops, you can enjoy the fruits of your labor that evening for supper. The scallop season runs June 16th, 2018 through September 10th, 2018. Basically, the only materials you need for scalloping are a snorkel mask, fins (or water shoes), and a mesh bag to hold your catch. Once you are geared up, you will need a boat to take you out and a diver’s flag to keep things legal (the license is relatively inexpensive and easy to acquire). Jump on a boat with a friend or rent your own, and steer the watercraft out of the river, away from fresh water and into the grass flats. Scallops congregate in shallow water hidden in manatee and turtle grass. If you see a large group of boats in a certain area, chances are they’ve found a “sweet spot” with lots of scallops. You should have some luck around the same vicinity. If you see one scallop shell, there is bound to be more around. (Hint: Before you head out, ask around to find out where the hot spots are for the season. Word travels fast in a small town, so most of the locals that hang out at the docks and the marina employees should be in the know). Head Over to Our Condominium Resort! The Sunset Place Resort has first-rate facilities, good value-for-your-money, and warm hospitality in a sleepy little fishing village that is a sportsman's paradise. Whether you are coming to fish, crab, scallop, kayak, canoe, hunt, bird watch, or just enjoy nature, our beautiful condominium resort is the perfect place for you! To learn more or to reserve a condo unit, do not hesitate to contact us.